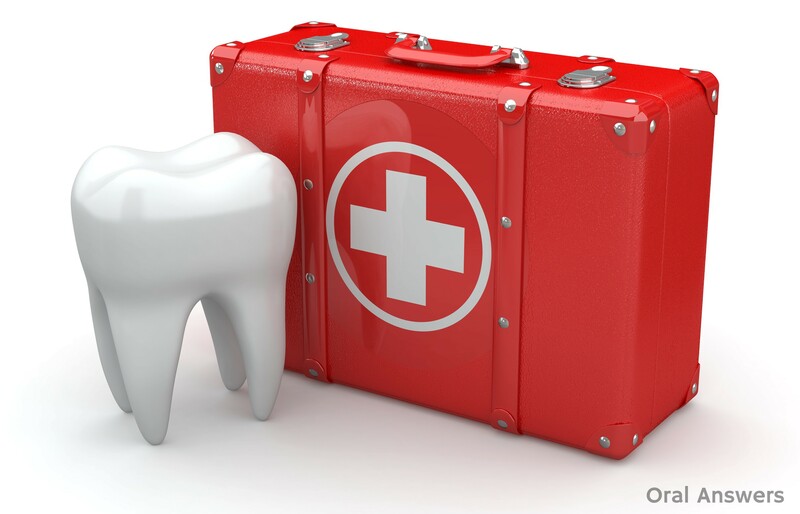 Correct first aid can save a tooth even after it has been knocked right out. However, the longer the tooth is outside the gum, the greater the risk of drying out and the lower the chance of its survival. Immediate replacement of the tooth into the gum is the ideal. * First of all, avoid touching the root as far as possible. Pick up and hold the tooth by the crown. * Rinse off dirt and debris with your own saliva or milk or a saline solution. * Push it back into the socket, making sure it is the right way around. * Biting down on clean cloth (or even a wad of clean tissue or paper) will help keep it in place. Then contact your dentist. Sometimes the child or patient is distressed and resists replacement of the tooth, or sometimes it may take some time to find the lost tooth. Furthermore it may be badly contaminated or broken. A good option is to place the tooth, or the parts of the tooth, into a small amount of milk, since the calcium ‘bath’ is nourishing for the tooth tissue. And still seek immediate dental advice.